Kaetlyn Wilcox, an artist living outside of Boston, earned her MFA from The School of the Museum of Fine Arts, Boston, and Tufts University. Currently, an artist in residence at the Arsenal Center for the Arts, she has shown many works in local galleries. Stephen Ackerman has worked since 1989 as an attorney in the Legal Counsel Division of the New York City Law Department. His poems have appeared in several publications, including Best New Poets 2010, Boulevard, Mudfish, Partisan Review, Ploughshares, Upstreet and previously in Salamander. “Paper” is from his manuscript Elixirs of the Body. Taylor Altman is the author of Swimming Back, a poetry collection that will be released this August by Sunnyoutside Press. Her work has appeared in the Alembic, Triplopia, Lyrical Somerville, and the Mind’s Eye. Her poem, “Bees,” was recently nominated for a Pushcart Prize. Melissa Apperson holds a B.A. from Wellesley College and an Ed.M. from Harvard University. Her poems have appeared in Barrow Street, River Oak Review, Hampden-​​Sydney Poetry Review, and Green Hills Literary Lantern. Sophie Cabot Black has two poetry collections, The Misunderstanding of Nature, which received the Poetry Society of America’s First Book Award, and The Descent, which received the 2005 Connecticut Book Award. Her poetry has appeared in the Atlantic Monthly, the New Republic, the New Yorker, and the Paris Review. She teaches at Columbia. Mary Bonina’s new poetry collection, Clear Eye Tea, will be released this October by Cervena Barva Press, which also published her chapbook Living Proof (2007). Her poetry and prose has been featured in Hanging Loose, English Journal, Gulf Stream, and she received Honorable Mention in the University of New Orleans Study Abroad competition. She is a Virginia Center for the Creative Arts Fellow. Michael Collins is an Associate Professor at Texas A & M University. Wyn Cooper’s most recent book of poems is Postcards from the Interior (BOA, 2005). He has written songs with Sheryl Crow, Bill Bottrell, David Broza, and David Baerwarld, and has released two CDs with the novelist Madison Smartt Bell, Forty Words for Fear and Postcards Out of the Blue. Lightsey Darst lives in Minneapolis. In 2007 she received an NEA Fellowship in Literature. 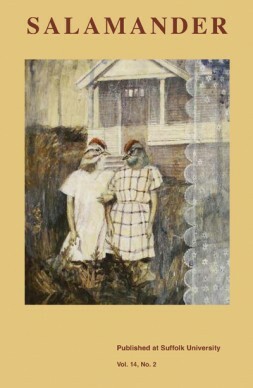 Her chapbook, Ginnungagap, is available from Red Dragonfly Press. Mark DeCarteret’s work appears in several anthologies, including American Poetry: The Next Generation and Places of Passage: Contemporary Catholic Poetry. His fourth book is (If This Is the) New World (March Street Press). Chard DeNiord is the author of four books of poetry, most recently The Double Truth (University of Pittsburgh Press, 2011), which was selected as one of the top ten books of poetry by the Boston Globe in 2011, and Night Mowing. He is the co-​​founder of the New England College MFA Program in Poetry and Professor of English at Providence College. He lives in Putney, Vermont, with his wife Liz. Lynn Domina is the author of a collection of poetry, Corporal Works, and the editor of Poets on the Psalm, recently published by Trinity University Press. Her poetry appears in the Southern Review, Prairie Schooner, New Letters, and Green Mountains Review, among other journals. Peter Filkins is the author of two books of poems, What She Knew and After Homer. He has also translated Ingeborg Bachmann’s collected poems, Darkness Spoken, and H.G. Adler’s novel, The Journey. He teaches writing and literature at Bard College at Simon’s Rock. Gene Fox studied philosophy and literature at James Madison University. He worked in book shops around Boston, then as a librarian in a Cambridge seminary and for the island town of New Castle, New Hampshire. He now lives on the south coast of California. Aaron Hellem lives with his wife in Leverett, Massachusetts, where he serves as managing editor of the Massachusetts Review. His short stories have appeared or are forthcoming in the South Dakota Review, the Wisconsin Review, New Ohio Review, Eclipse, and the Massachusetts Review. Christine Dwyer Hickey is the author of The Dublin Trilogy: The Dancer, The Gambler, and The Gatemaker, novels which span the story of a Dublin family from 1913 to 1956. Her novel, Last Train From Liguria, will be published in June 2009 by Atlantic Books (UK). Ellen Kaufman lives in New York City. Her poem “These Words are Beams of Light” won the Morton Marr Prize from Southwest Review. Her first book, House Music, will be published by Able Muse Press. She held a MacDowell Fellowship in 2009. Stephen Knauth’s latest collection is The River I Know You By (Four Way Books). His poems have appeared in North American Review, Seneca Review, Virginia Quarterly Review, Drunken Boat, and Poetry Daily. Hester Knibbe was born in 1946 in Harderwijk, the Netherlands. Her poems have been widely published, receiving many national awards. Her most recent collection is Bedrieglijke dagen (De Arbeiderspers, 2008). R. M. Kozlowski received her MFA from Vermont College and teaches English and creative writing workshops. Her poems have appeared in journals such as the Connecticut Review and Alaska Quarterly Review. Geoff Kronik has worked in sales and marketing for twenty-​​five years. His flash fiction has appeared online at VerbSap and Opium​.com. This is his first full-​​length published story. Gwyneth Lewis was the first National Poet of Wales (2005−6). Her first three books in English are collected in Chaotic Angels (Bloodaxe, 2005). Her nonfiction books are Sunbathing in the Rain: A Cheerful Book on Depression and Two in a Boat: A Marital Rite of Passage. “How to Knit a Poem,” commissioned by the BBC, first appeared in the Poetry Review. Julia Lisella is the author of Terrain (WordTech Editions, 2007) and Love Song Hiroshima (Finishing Line Press, 2004). She has work forthcoming in Valparaiso Poetry Review. Her poems have also recently appeared in the Red Hen Press anthology, Letters to the World. Victoria Bosch Murray’s poetry has appeared in the Cortland Review, Field, Harvard Divinity Bulletin, the Potomac, Tar River Poetry, and elsewhere. She has an MFA in poetry from Warren Wilson College. Donald Nitchie’s poetry chapbook, Driving Lessons, was published by Pudding House Press in 2007. He lives on Martha’s Vineyard, where he occasionally leads writing workshops; he edits The Banjo Newsletter, a monthly newsletter for 5-​​string enthusiasts. Nicholas Samaras won the Yale Series Award for his first book. He is completing a manuscript of poetry based on the life of the Slovakian poet and translator of German poetry, Svetozar Daniel Simko, who passed away in 2004. Samaras currently lives in West Nyack, New York. Catherine Sasanov’s third poetry collection, Had Slaves (Firewheel Editions, 2010), was recently named a 2011 “Must Read” by the Massachusetts Center for the Book. Nancy Schoenberger’s three books of poetry include Long Like a River, winner of the l998 NYU Press Poetry Prize. She is the author of Dangerous Muse, The Life of Lady Caroline Blackwood and co-​​author, with her husband, Sam Kashner, of Hollywood Kryptonite, source for the 2007 film, Hollywoodland. Shane Seely’s first book of poems, The Snowbound House, won the 2008 Philip Levine Prize for Poetry and will be published in late 2009 by Anhinga Press. Poems have recently appeared or are forthcoming in Image, Passages North, Marlboro Review, and elsewhere. Chase Twichell, founder of Ausable Press, has published six books of poetry (Dog Language is the most recent); co-​​translated Rabindranath Tagore’s The Lover of God; and co-​​edited of The Practice of Poetry: Writing Exercises From Poets Who Teach (HarperCollins, 1992). Rachel Weintraub’s poems have appeared in Boulevard, Poet & Critic, and Salamander, among others. She is currently completing a collection of love poems and serves on the literary boards of Four Way Books, Salamander, and Parnassus: Poetry in Review Foundation. Charles Weld is an administrator in a non-​​profit agency, serving children with mental health needs in the Finger Lakes area. His chapbook, Country I Would Settle In was published by Pudding House in 2004. Allen C. West’s poems have appeared in Brooklyn Review, Ibbetson Street, Pudding, Rhino, and the Mid-​​America Poetry Review. His chapbook, The Time of Ripe Figs, won the White Eagle Coffee Store Press’s 2001 prize. Nancy White’s first book, Sun, Moon, Salt, won the Washington Prize for Poetry. Poems have appeared in the Antioch Review, Black Warrior Review, Field, Harpur Palate, Ploughshares, and others. She serves as editor for The Word Works in Washington, D.C.
William Kelley Woolfitt teaches at Penn State University. His poems and short stories have appeared or are forthcoming in Atlanta Review, Poetry International, Shenandoah, North Dakota Quarterly, Spoon River Poetry Review, Weber Studies, and Sycamore Review. Tom Yuill’s work has appeared or is forthcoming in Literary Imagination, Newsday, A Public Space, and the New Journal, among others. He teaches at the New England Institute of Art and B.U. His book of poems Medicine Show is under consideration at the University of Chicago Press. Linda Zisquit is an American writer living in Israel. Three collections of her poems have been published in the U.S.; The Face in the Window (Sheep Meadow Press, 2004) is the most recent. Her translations from Hebrew include Wild Light: Selected Poems of Yona Wallach and Let the Words: Selected Poems of Yona Wallach, both from Sheep Meadow.